These are the main stories featured in Friday’s newspapers. Times of Malta says plans to build a new state-of-the-art Gozo General Hospital have been put on hold despite contractual obligations it had to be up and running by last May. 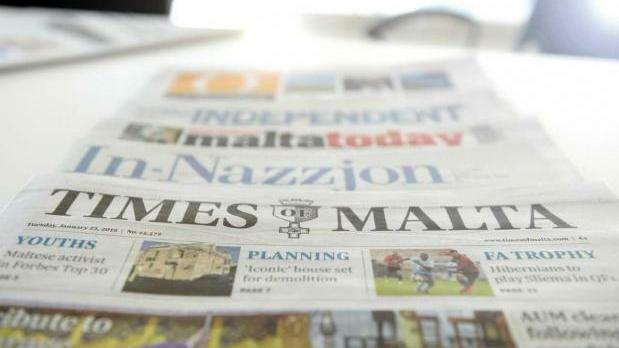 In another story, the newspaper says it is being asked by the Malta Financial Services Authority to disclose “the source/s of the information contained” in a report on the planned takeover of the Manoel Island project. The Malta Independent says the European Commission has adopted an opinion requiring the Maltese anti-money laundering supervisor to continue taking additional measures to fully comply with its obligations under the fourth Anti-Money Laundering directive. L-Orizzont quotes Justice Minister Owen Bonnici, criticised for his attempts to stop activists from retaining a makeshift memorial for slain journalist Daphne Caruana Galizia at the Great Siege Monument, saying that he was neither breaking the law nor abusing power. In-Nazzjon says Manfred Weber has been nominated by the EPP as their candidate for European Commission President.